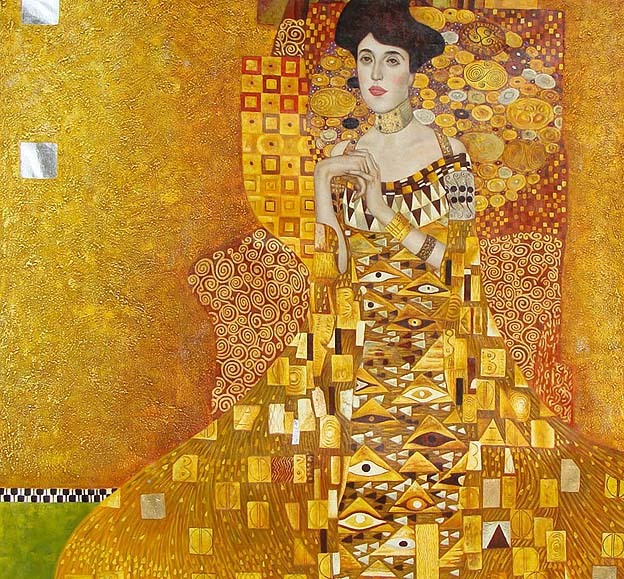 I recently saw The Woman in Gold, and as I am usually touched by movies, I was particularly touched by this one. I could relate to it because although I am not Jewish, my grandparents are from the Czech Republic and their families had everything taken away from them by the Russians. The scene that particularly touched me was the one where Maria had to say goodbye to her parents before escaping. I couldn’t help but cry. My grandparents left Czechoslovakia separately and they couldn’t even tell their families that they were leaving. My grandmother left on a scholarship to study in Paris with the promise of returning, but of course, she never did. My grandfather hired a spy and left in the middle of the night with only a briefcase in hand. He made his way to a refugee camp in Germany and then eventually to Paris where he rejoined with my grandmother. I can’t imagine leaving my family without saying goodbye and knowing that I would never see them again, which is what transpired with my grandparents. In the movie, Maria and Fritz’s escape was very dramatic and nerveracking. I guess what I liked most was simply how emotional it was. I don’t know if it evoked the same kind of emotion in others, who might not be able to relate to the film at all, but I imagine it was even more touching for those who have a similar story. I heard this song during the Parenthood series finale the other night and I just thought it was a lovely song. It was played during an emotional scene while the family was having their pictures taken at Sarah’s wedding, which was a nice overview of all the characters and their relationships with one another during the final episode. Of course, emotions always play in role in how we perceive something, so I really enjoyed this song as it was played during this scene. Also, this is a beautiful video.